Here’s my first HM from Gladstone’s Library. 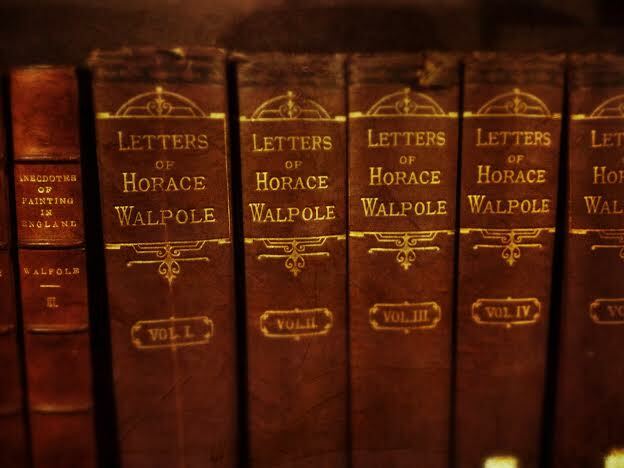 The communication revolution of the last century or so has allowed us to discover news almost instantaneously, and so I’ve picked out the letter below from Horace Walpole, the long-serving, Whig prime minister as an example of something that could never be written today. It took three weeks for news to quell his anxiety. Here’s Walpole (no longer prime minister) in a fluster, anticipating the outcome of the battle that he know is imminent. His friends are there as, surprisingly, is King George II. This would be the last ever time that an English king would lead an army into battle. You must not expect me to write you a very composed, careless letter; my spirits are all in agitation! I am at the eve of a post that may bring me the most dreadful news! We expect to-morrow the news of a decisive battle. Oh; if you have any friend there, think what apprehensions I must have of such a post! By yesterday’s letters our army was within eight miles of the French, who have had repeated orders to attack them. Lord Stair and Marshal Noailles both think themselves superior, and have pressed for leave to fight. The latter call themselves fourscore thousand; our sixty. Mr Pelham and Lord Lincoln come to Houghton to-day, so we are sure of hearing as soon as possible, if anything has happened. – To sit heavy on their souls to-morrow! Alas! perhaps that glorious to-morrow was a dismal yesterday! At least, perhaps it was to me! The genius of England might be a mere mercenary man of this world, and employed all his attention to turn aside cannon-balls from my Lord Stair, to give new edge to his new Marlborough’s sword. I shall now only answer your letter; for till I have read to-morrow’s post, I have no thoughts but of a battle. The post is come: no battle! I don’t know what I write – I am all a hurry of thoughts – a battle – a victory!